There are times I have felt like I could take no more. Times I was so overwhelmed with illnesses & other life challenges, times that my belief in God was so very fragile. And during these times I felt like a bruised reed, so fragile I might break. Or a smoldering wick that has no flame, ready to completely blow out. When we are in a place like this I believe the Lord deals with us ever so tenderly & gently, as a mother would lovingly deal with her beloved child. At times like these we may not even be able to pray. That is when we need to enlist the prayers of our brothers & sisters in Christ to help us carry our burdens. And we can also be encouraged that as Jesus sits at the right h& of the Father He is interceding for us. Some people may refer to these times as ‘dry times’. And they sure can feel like that; like God has left us & we are on our own. But our Lord will not let us break or have our wick blow out. We may cry out “O Lord, do not forsake me, be not far from me my God. Come quickly to help me, O Lord my Savior” (Psalm 38:21 & 22). 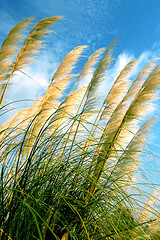 In time we will be revived & become that strong reed He designed us to be & a c&le burning brightly. Prayer: Lord, thank you that you never leave or forsake us. Help us during those times when we do feel like a bruised reed or a smoldering wick. Renew & refresh us. Lord we pray that you would put a new song in our mouth, a hymn of praise to You our God; as Psalm 40:3 says. CarolAnn Adams, who lives in Ohio has had chronic illnesses for most of 15 years. She had been active in many church ministries, but is now restricted by illness. So she ministers to others through writing devotionals & a blog. And by being part of an online Chronic Illness site which she volunteers for, prays & encourages people. She is also part of a Facebook prayer team.